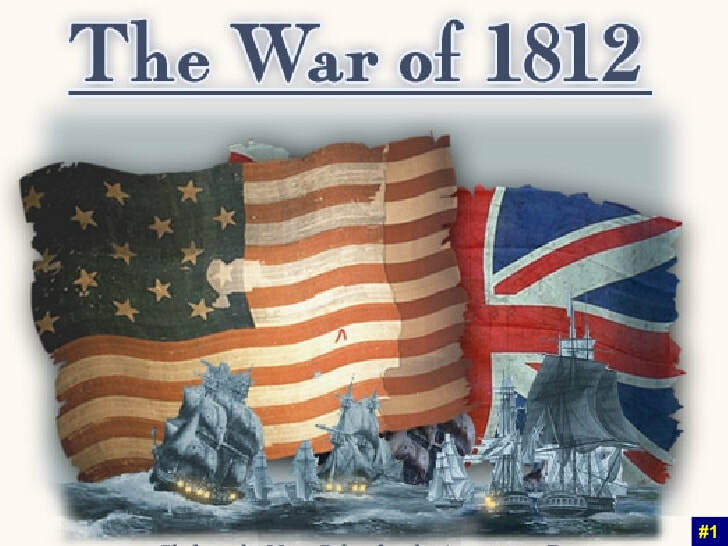 -> I can analyze the major events of the War of 1812. -> I can create a timeline that will illustrate the 5 W's on 10 major battles of the war. -> I can explain one major battle of the War of 1812. -> I can synthesize the impact the War of 1812 had on American history. Step #1- Study the major battles. In your group you are going to study one major battle and answer the 5 W's (Who, What, Where, When, and Why). Step #2- Teach the class what you have learned about the battle your group was assigned. You are going to come up to the front of the room and teach the class the information you have learned about the major battle of the War of 1812. The class will be writing down the information as it is presented so that, by the end of the 5 presentations, each group will have information on all 5 battles. Step #3- Create your timeline. Using the example below, put your flipcards in chronological order along the timeline. You should be able to get all 5 flashcards onto the front side of the timeline. Once they are in position, glue them down. Each group will create one timeline and use it to complete the 'Exit Card' assessment. Step #1- Review this animated map on all of the major battles of the War of 1812 before completing the 'Exit Card'. Step #2- Please log onto Socrative to complete this assignment.